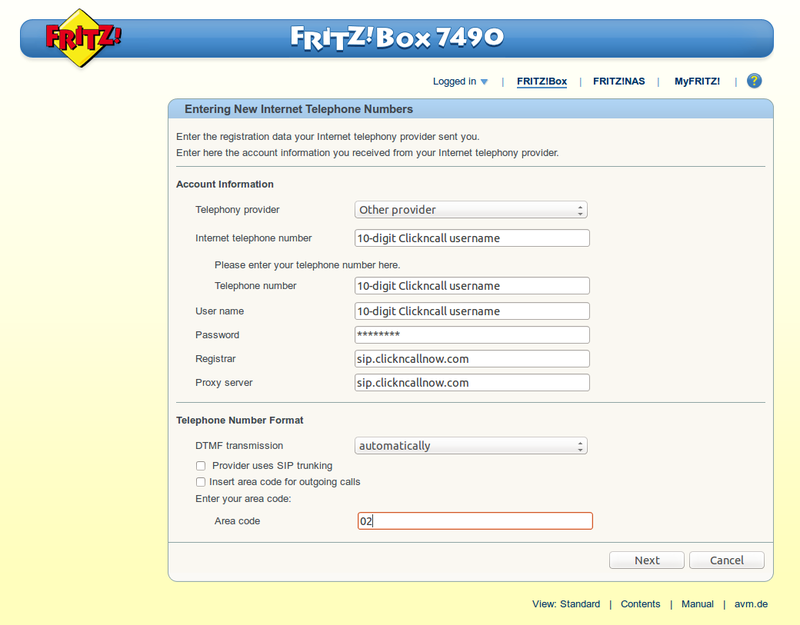 The FritzBox enables use of our high-quality feature-rich telephone service through your NBN, cable or DSL Internet connection. It's one of the best all in device available on the market. You must first get into the FritzBox admin menu (please refer to your owner manual for instruction on this). Click on "Telephony" then click "Telephone Numbers" on the left menu. Then click on "New Telephone number" button above. 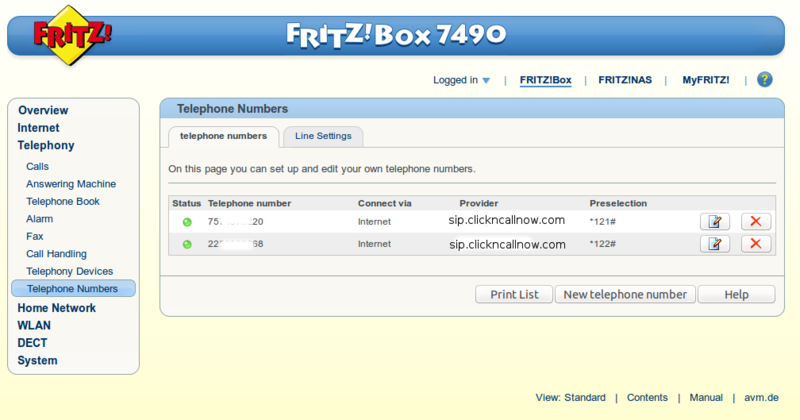 Click on "Telephony Devices" from the left menu, select the phone that's registered to your Fritzbox and click "Edit". Under the "Outgoing calls", select the ClicknCall account you created from Step 3 and that's it.